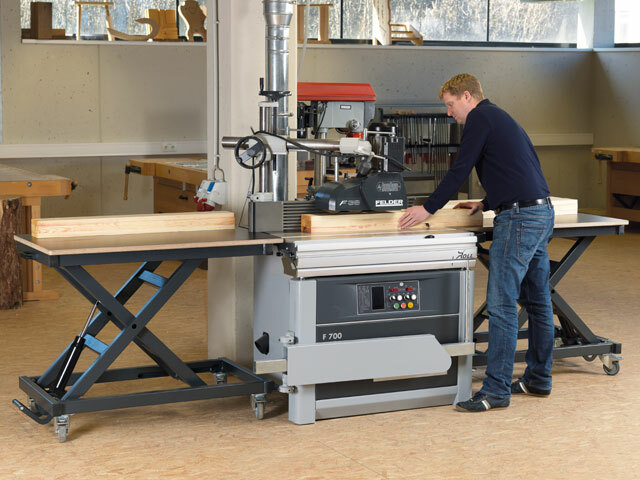 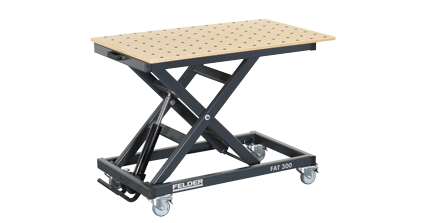 Machine equipment trolley, stacking trolley or additional work space – the choice is yours. 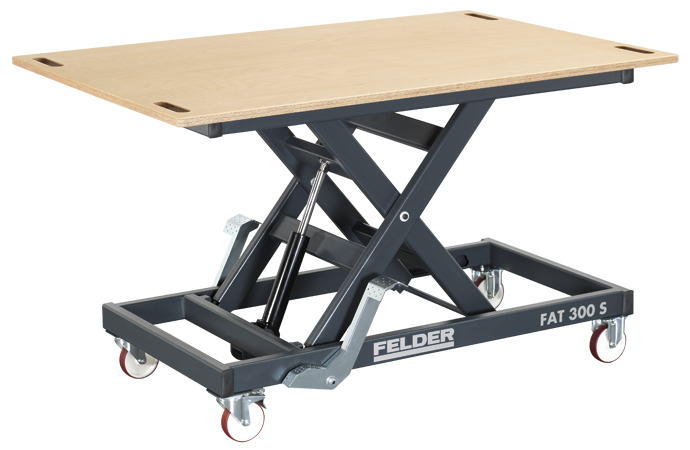 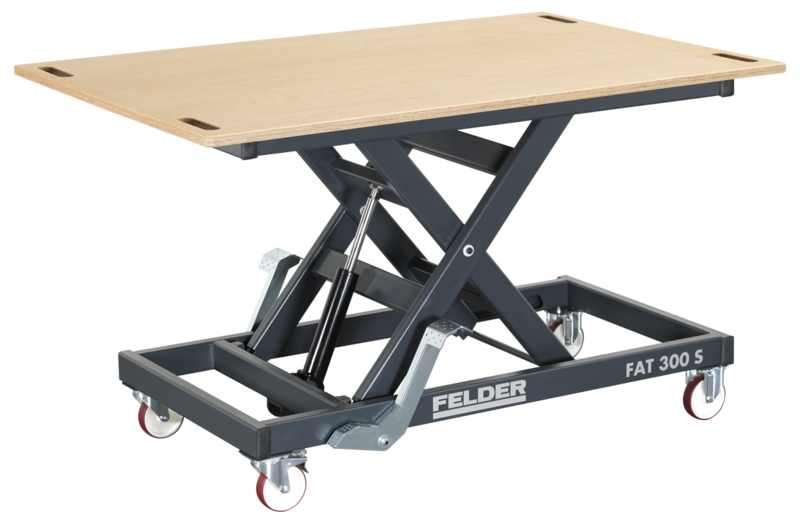 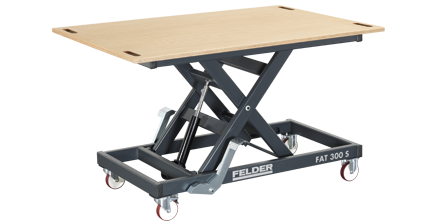 The height adjustable Felder working tables are versatile in their use and always offer maximum stability and simple mobility. 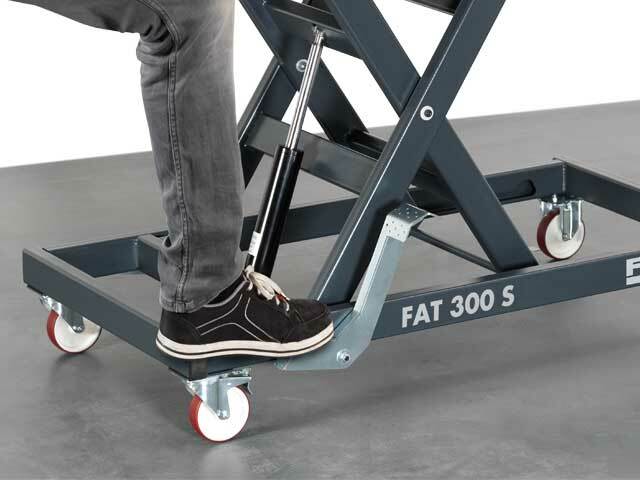 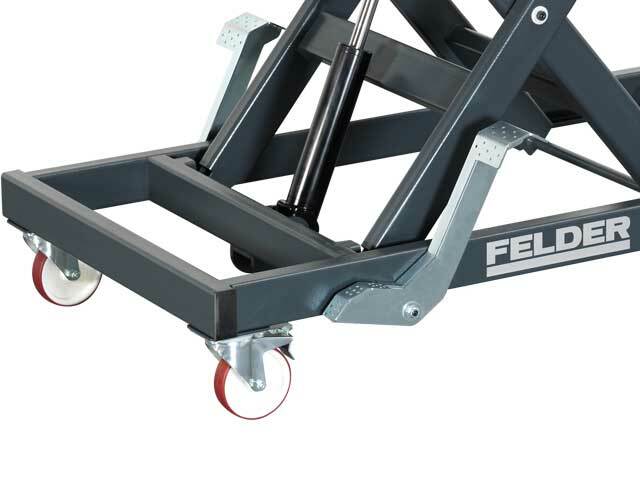 The solid frame on robust wheels, easy to use foot pump hydraulics and extremely durable working surface ensure that stability, manoeuvrability and a comfortable working height are always guaranteed. 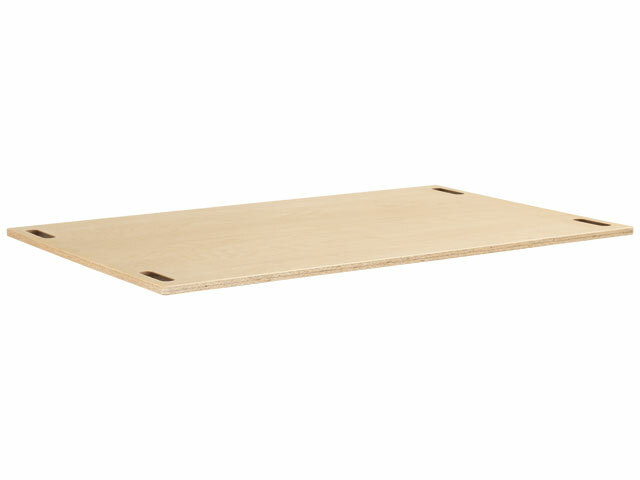 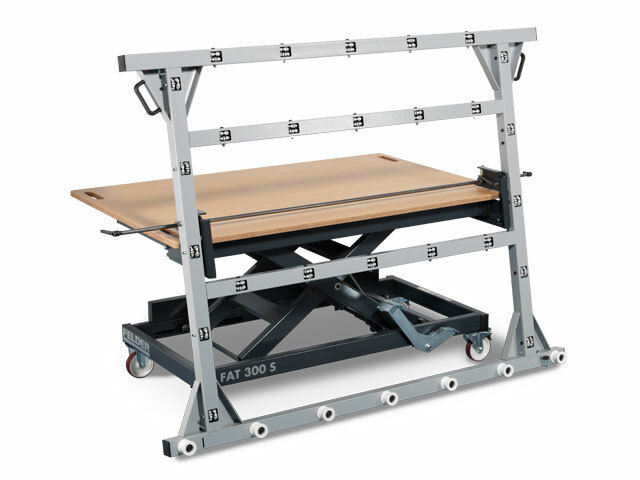 The FAT 300 S and 500 S models can be equipped with a panel tilting device if required. 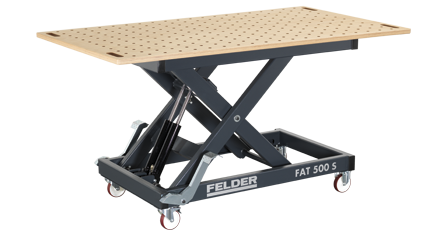 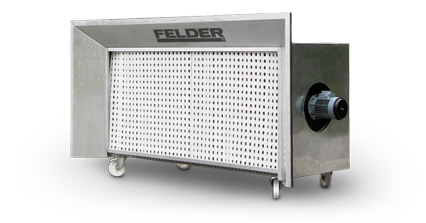 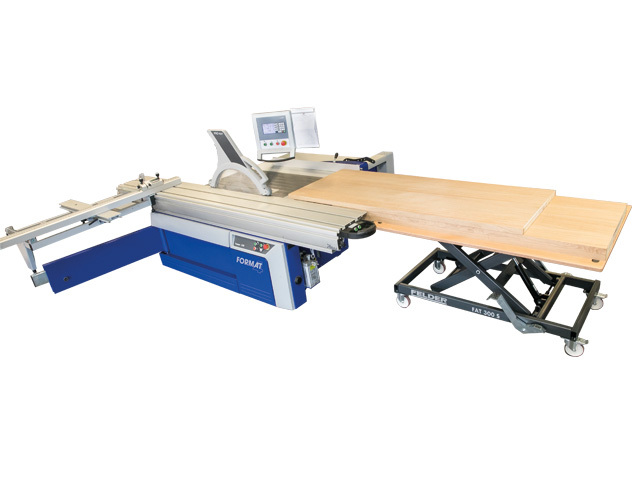 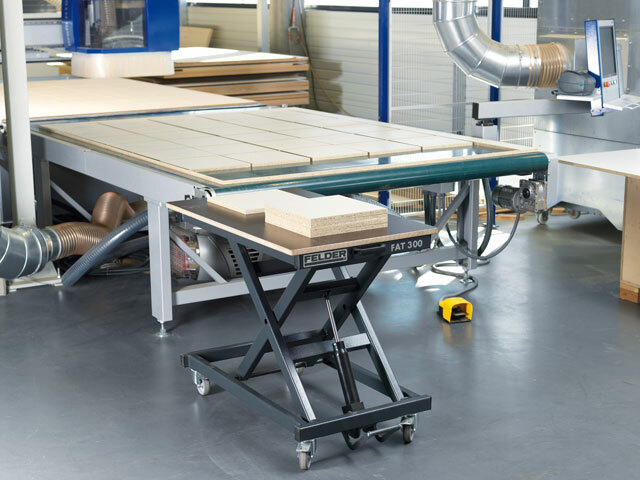 The FAT 300 S and 500 S models can be equipped with an optional panel tilting device for the simple handling of large dimensioned panels.